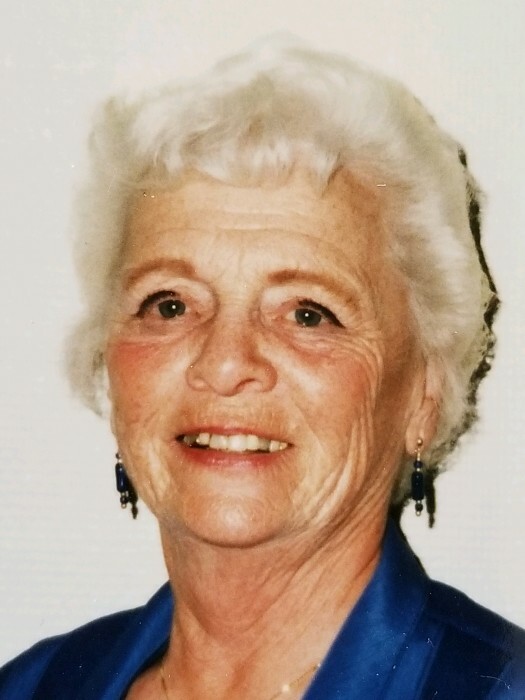 On March 27th, 2019 Nancy Jeanne Kohl passed away at the age of 93 holding the hand of Dan, her loving husband of 73 years. Nancy was born on January 21st, 1926 in Minneapolis, MN to Ralph and Leone Bowell. She married her sweetheart on September 11, 1945, one week after he returned home at the end of WWII. Together they raised a son and three daughters, Jeffrey, Jennifer, Janna and Judy in Minnesota where they lived the first 45 years of their marriage. In 1990 Nancy and Dan moved to Sun City West, Arizona to enjoy the warm winters and extend their golf play which they both loved. She became inspired by the swans that lived on the SCW golf courses and wrote and illustrated her book “Stardust Swans”, the first of her self-published books. She sold her books and raised over $10,000 for the Thomas J Pappas School for homeless elementary children. For 19 years she volunteered at the Pappas school, teaching art classes and collecting clothing and donated materials for the children. Nancy also volunteered at her church and was an active member of the Sun City West Kiwanis club. One of Nancy’s greatest talents was her boundless creativity and love for art. Matched with her incessant drive to create, she studied art at the University of MN and continued taking classes throughout her life to enhance her artistic skills. She worked in water color, acrylic and silk painting, stained glass, and wood carving. She became proficient in welding in order to take up sculpture. She used her talent to make beautiful art for her home and for others’, taught adult education classes, volunteered as an art teacher in Minnesota elementary schools and produced artwork for her clients. Later in life, she took up beadwork, making jewelry she would give to relatives, friends, caregivers, even strangers. She called these creations “love beads” with the intent of spreading her love. Nancy’s altruistic spirit and compassionate heart were felt by all who were fortunate to meet her on her life’s journey. She loved to entertain and bring joy to others, young and old. Those who knew her well understood that she saw the world first and foremost as a work of art that God created and one that should be cherished and never destroyed. Nancy was preceded in death by her sisters: Betty Jane, Mary, Phyllis, Patty, Dianne; brothers: Robert, Thomas, William, James and John; and her daughter Jennifer Kohl. She is survived by her husband C. Daniel Kohl, sister Donna Dulude, brother Richard (Roxanne) Bowell, son Jeff Kohl (Bonnie), daughters Janna Kohl and Judy (Chris) Voigt and her 3 grandchildren, Kelsey (Joey) Voigt- Moravec, Daniel Voigt and Lauren Voigt. A memorial service will be held on April 8, 2019 at Lord of Life Lutheran Church in Sun City West. For Charitable donations in Nancy’s memory please choose either Lord of Life Lutheran Church, 13824 W. Meeker Blvd. Sun City West, AZ 85375 or Kiwanis of Sun City West Foundation, P.O Box 5715, Sun City West, AZ 85375.